Howdy folks, hope you had a great Memorial Day weekend with friends and family. Baseball-wise, it didn’t go as well as I hoped with the heartbreaking loss of both UM and FIU, effectively ending their hopes of going to the College World Series. In fact I’m still recovering from that. But hey, there’s still the Marlins, right? Since we last spoke, the Fish faced off against the Dodgers, Braves, Mets and Nationals. During this we had a few things occur (Most of them bad) so let’s get this show on the road. 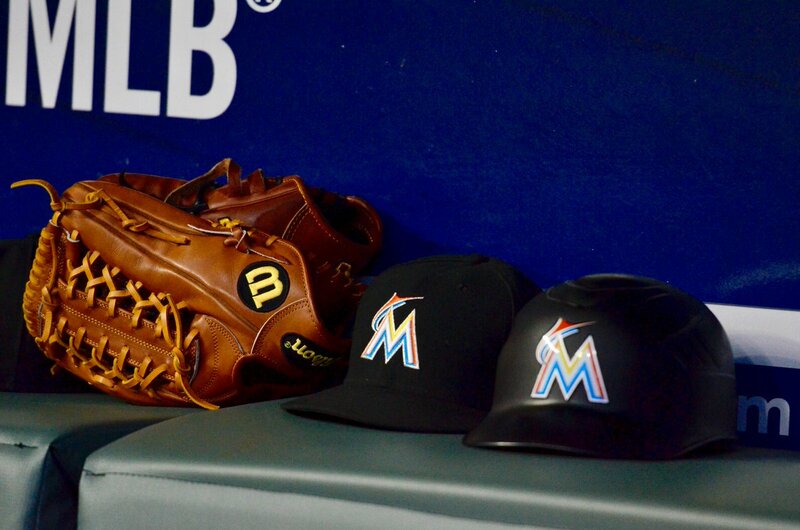 The Marlins hosted the Dodgers and fortunately, won the series taking two out of three thanks in part to decent starts from Wei-Yin Chen and our brand new rookie, Elieser Hernandez. Meanwhile, J.T. Realmuto, Brian Anderson and Justin Bour had productive games at the plate. In the rubber match, Caleb Smith was batted around, lasting only three innings as Los Angeles shut out the Marlins 7-0 to avoid the sweep. This actually happens to be the last game for reliever Junichi Tazawa. Twice in the series, he coughed up three runs adding to his dismal tenure on the team. It appears to have been the straw that broke the camel’s back. By the next day, he found himself designated for assignment and released. In the 22 games he’s appeared in, Tazawa posted a 9.00 ERA allowing 21 runs (All but one earned) in 20 innings. Of the 28 hits, the reliever yielded six home-runs to opposing hitters. It wasn’t the only pitching move the club made, they optioned Tyler Cloyd to Triple-A New Orleans and also released Dustin McGowan. Heading over to Atlanta, the Marlins almost won the series but experienced a complete meltdown from the bullpen in the series finale that Sunday. Dan Straily shut down the Braves in the opener, lasting a season-high seven innings, scattering three hits. Jose Ureña’s woes continued, lasting six frames but getting tagged for four runs, Jarlin Garcia came in for relief but was unable to stem the tide. He too was batted around for four more en route to a 8-1 beatdown. It got worse in game three, Miami blew a 9-4 lead in the ninth despite a phenomenal effort from both Miguel Rojas (3-for-3,2 HRs, 4 RBIs) and Lewis Brinson (2-for-5, HR, 4 RBIs). Brad Ziegler coughed up 4 runs before flamethrower Tayron Guerrero came in to end the rally. He would do no such thing. The Braves kept on hitting and capped off the wild comeback, taking the series and any enthusiasm the team might’ve had. I’ll admit, after that little occurrence, I really didn’t expect much from the ball club against the Mets. Hernandez put up another effective outing, lasting five innings and allowing a mere run. But it’s all the Mets would need to take the first game, 2-0. The following day, Caleb Smith bounced back at Shea, going six and two-thirds allowing a single run while sprinkling three hits in a stellar performance, resulting in a 5-1 victory for the Fish. For the finale, Straily posted another effective start but it was Adam Conley collecting the win (He’s back!) after the Marlins pulled off a shocking comeback with two runs off of Jeurys Familia, courtesy of Realmuto and Starlin Castro. Realmuto had another decent series, driving in three to improve his case of either building the team around him… or outright trading him before the deadline. Returning home for the holiday weekend, Miami hosted the Washington Nationals and needless to say two bad things happened. The first, the Marlins got thoroughly swept. The second and perhaps much more important, Martin Prado re-injured his left hamstring. The setback could cost him dearly, at best the 34-year-old third baseman will miss extended amounts of time. But the increasingly likely scenario is that his season might already be over. The team can only hope for a speedy recovery. He suffered this same injury last year. At the time, he was part of trade rumors midway through the season with the Boston Red Sox showing interest. I wanted to offload him then and now I really wish the team did. Time will tell what happens next. After dropping the first game, Chen came out with another solid start, pitching over seven innings of one-run ball. But the pen failed to contain Washington as Ziegler was shaky as ever, giving up three runs late into the game. Steven Strasburg continued his mastery of Miami, going five innings and extending his scoreless innings streak against the Marlins to 23, dating back to April 3, 2017. Here’s some more delicious stats for you: In their last 11 meetings, the Nationals have outscored the Marlins 71-20. Ouch. Going back to Tazawa, when the team first acquired him from Boston, it was with the intent of putting in a veteran to shore up the relief corps. During his two-year stint, he posted a 6.57 ERA in 77 games, tossing a little over 75 innings. In that, he gave up 83 hits, 56 runs (55 earned) and 14 roundtrips. It just didn’t pan out for him here, his fall was fast. Real fast. While I really didn’t enjoy his time here, I do wish him the very best in finding another team and finally experiencing some success. Who knows, maybe a change of scenery can help. Which brings me to this question, is Brad Ziegler next? His hold on the closer role is far from secure. Despite his recent performances, he remains a perfect 9-for-9 in save opportunities. However, he has now surrendered three-plus runs in two of his last four appearances this season (Prior to the ongoing Padres series). My guess is they’ll flip him for a prospect later this year but the tape doesn’t lie and we’re lucky if we get a decent return. If we don’t manage to trade him, I really do not see Ziegler hanging on as the team’s stopper. Barring a string of lights out performances, it’s a question of when. So who could take over? Brad Ziegler hasn’t pitched since Saturday. Strong chance Mattingly gets him some work in the late innings of this very close game. Please prepare yourself emotionally. Until next time gang, keep the faith and stay frosty. 11. We’ve lost 11 straight times to the Nationals. August of last year is last time we beat them. Did you know: Vance Worley last Marlins to beat the Nationals. HAH!